NB-IoT technology is considerably new for Indonesians in general. But for the tech enthusiasts, especially those engaged in the IoT industry, of course, already familiar with this technology. 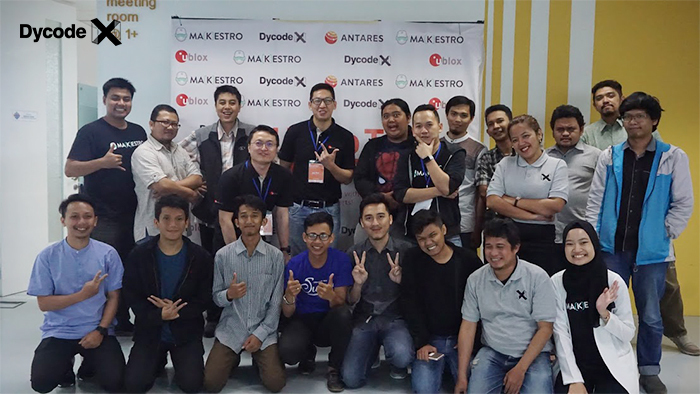 This is one of the reasons Makestro and DycodeX held the NB-IoT Party on April 27th, 2018 in Bandung Digital Valley, West Java. Collaborating with DycodeX and u-blox, two IoT companies closely associated with NB-IoT, Makestro as the IoT makers community organized the event. 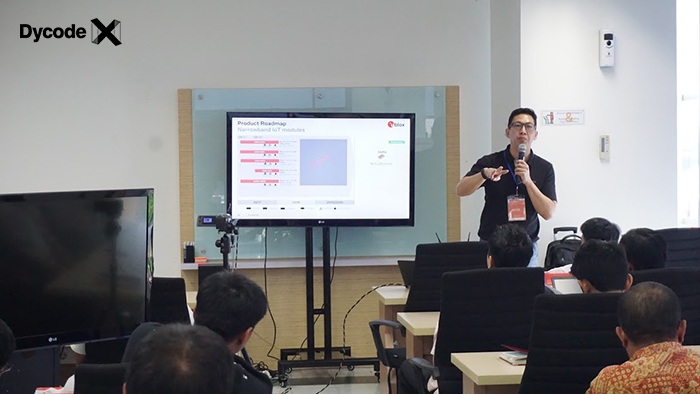 The event which started at 10 AM was attended by tech enthusiasts mainly active in IoT industry in Bandung, Jakarta, Bogor, and surrounding areas. On this occasion, the attendees could meet and discuss about NB-IoT with experts and also get their hands-on the IoT products. In this NB-IoT Party, the experts who became speakers, among others were Joe Ooi, Business Development Manager of u-blox and also Leipo Yan, Senior Application Engineer of u-blox. After a live sharing and question and answer session from u-blox, Ibn Alinursafa, Founder of Antares IoT Platform started his sharing session. After that Andri Yadi, CEO of DycodeX delivered a live demo with Alwin Arrasyid, Lead Software Engineer of DycodeX. The event went with great enthusiasm until the afternoon. Surely NB-IoT Party can provide benefits and further knowledge about this technology to its users. More photos of this event is available in our Facebook page. See you at the next IoT event! LoRa Conference Indonesia 2018 Jakarta : The First Ever LoRa Conference in Asia!